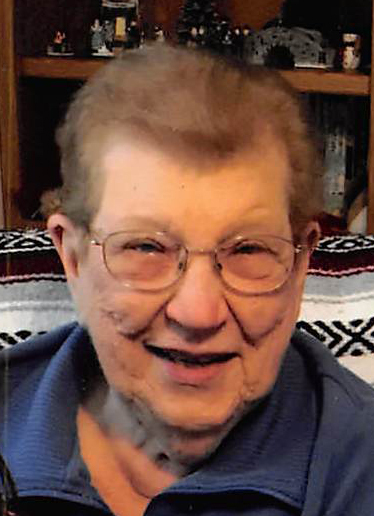 On Monday, March 25, 2019, Lois Joan Janowitz passed away at the Good Samaritan Center in Albert Lea. She was 85. Lois was born December 4, 1933 in Hartland to Theodora (Ramsey) and Morris Jordahl. She graduated from Freeborn High School, worked at Wilson’s in Albert Lea; and later, at Vivian’s Cafe in Hartland. On June 29, 1952, she married Melvin Janowitz. They raised three daughters, Dawn, Diane, and Apryl. Mom had a passion for service. She taught Sunday school, served in church leadership, engaged in circle, was a part of prayer chain, rang bells for Salvation Army, and lead Bible studies. She also enjoyed a bit of fun with her friends. She was active in Lois Club, Red Hats, quilting, aerobics, bingo, luncheons, and of course the bus trips that took her to local plays and not so local trips around the U.S. Lois was preceded in death by her parents Theo and Morris Jordahl. She is survived by her husband Melvin Janowitz, their three children Dawn and husband Dan Wolfgram, Diane and husband Danny Meyer, Apryl and husband Trent Gorton; as well as their grandchildren Matt Wolfgram and wife Carla, Megan (Wolfgram) and husband Scotty Davis, Leah (Meyer) and husband Casey Walters, Tina (Meyer) and husband Dusty Riley, Bria Gorton, and Zoe Gorton; and great grandchildren Nicklas Wolfgram, Cora, Reese, Carson, and Cade Davis, Jackson and Wyatt Walters, and Maddie and Mason Riley. Visitation will be from 4-7 PM Thursday, March 28, 2019 at Bonnerup Funeral Home in Albert Lea, and 1 hour before the church service. The funeral service for Lois Joan Janowitz will be 10:00 AM on Friday, March 29, 2019 at Zion Lutheran Church in Albert Lea, MN. Pastor Matt Lehman will officiate; internment will be at the Hartland Cemetery.